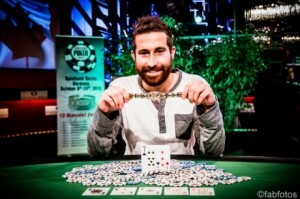 JONATHAN DUHAMEL wins the Third Bracelet at WSOP Europe "High Roller"
JONATHAN DUHAMEL a very well known Canadian professional poker player who has won plenty of poker tournaments and has earned millions of dollars playing at various poker festival has won the Prestigious High Roller event at WSOP Europe 2015 being place at Spielbank casino in Berlin. 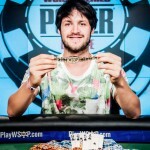 Duhamel won the €25,600 buy in event of High Roller in a great fashion and created history. The winning yielded a great amount of prize money i.e. €554,395 and a gold bracelet as well. This is simply hugh. He played out awesome and defeated some top pros of the world. Duhamel is on the top of the world now because the total number of gold bracelet winning buys him exceeded to three. Duhamel won the second gold bracelet earlier this year at world series of poker for the event of $111,111 High Roller for One Drop tournament After winning this prestigious title of the WSOP Europe he told that it is even better than second one. It really feels great that I did it in one of the toughest tournaments in my life. The tournament was not an easy job to crack for Duhamel. The main hurdle/obstacle in front of Duhamel was a player from Belgium named Dadid Katai. Katai has three gold bracalets under his belt and was playing really good game. Katai was having the edge over Duhamel because of winning the title at EPT Berlin Casino at the same place back in the year 2012. The event#10 of the world series of poker tournament Europe was for High roller. Total number of entries/registrations for this game was 64 which generated a cash pool prize of €1,584,000.out of 64 players, 7 finalists made some money out of it. The seven finalists of the tournament were from the countries i.e. Canada (3 players) Belgium (1 player) Italy (1 player) and Germany (2 Player). Here are rests of the players who did well at the final table and were booked for the cash prizes at Event #10: €25,600 High Roller No-Limit Hold’em. Realpokeronline.co.uk gives you latest poker news from in and around the world. We gather each and every important detail about poker. If you are a newbie or a pro and looking to play poker at internet, you should check out this particular site as well, where you would find top legal poker sites listed only.